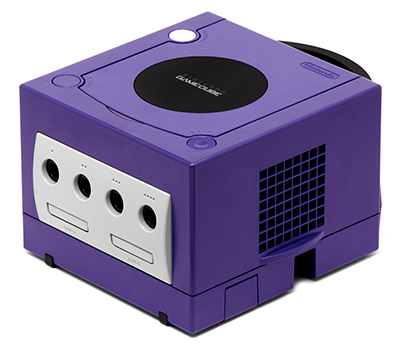 Only PAL Game Cube’s support RGB natively. NTSC GameCube’s support S-Video, which still produces a good picture. If you’re a big fan of the GameCube, or would like to use the GameBoy Player attachment, please read on, as this page should contain everything you need. This page demonstrates how the GameCube outputs a better signal than the Wii. Information on playing GameBoy, GameBoy Color and GameBoy Advance games on your GameCube. – If you want the best quality from your GameCube, you’ll need the official component video cables. They’re extremely expensive, but produce a really high quality image and can even be modified to output VGA. – If you’re only a casual GameCube user and don’t use the GameBoy Player Adapter, I’d strongly recommend just using a Wii, as early models are fully backward-compatible, including the actual controllers. Also, the Wii opens up an amazing door of opportunity, as described in the Wii section of this site. – The S-Video (for NTSC) and RGB (for PAL) outputs should be good enough for anyone that’s not a die-hard GameCube or GBA fan. It’s worth giving them a try before dropping a lot of money on a component cable. Nintendo GameCube Indigo Purple Console Mario golf & more. Very good condition.